If you’re thinking about getting a few Marimo moss balls, you probably want to know how many will comfortably fit in your aquarium. For the most part, you want to add just enough moss balls to create a balanced aquascape. While at the same time you want to make sure you leave enough room for the moss balls to grow and flourish. A good rule of thumb to follow is that you should aim to add at least 1 to 3 moss balls per gallon. How Many Moss Balls in a 5 Gallon Tank? How Many Moss Balls in a 10 Gallon Tank? How Many Moss Balls in a 20 Gallon Tank? Can You Have too Many Marimo Moss Balls? If you have a five gallon rectangular tank then you might want to think about adding at least 5 to 8 moss balls to your aquarium. 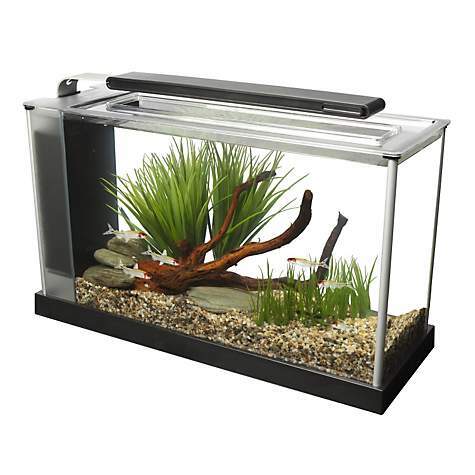 Since most rectangular 5 gallon tanks measure 16” L x 8” W x 10” H, that means their base has an area of 128 square inches. In order to fill ¼ of your aquarium with moss balls, you will need to add five 2.5 inch moss balls, or you can add few extra smaller moss balls and let them grow out to fill your aquarium. If you have a ten gallon tank then you should add at least 8 to 13 moss balls to your aquarium. 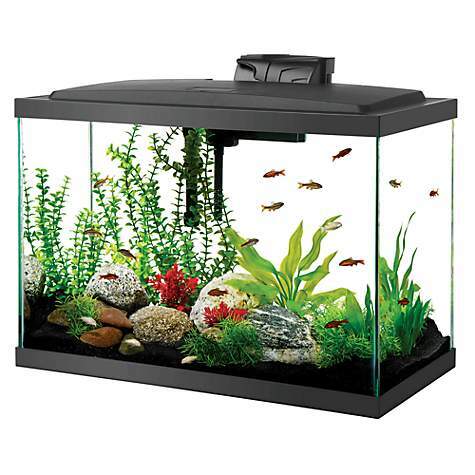 A rectangular 10-gallon tank usually measures 20” L x 10” W x 12” H, and the base has an area of 200 square inches. In order to cover a quarter of the base of the tank with moss balls, you will need to add at least eight 2.5 inch moss balls. If you plan on adding some moss balls to a 20 gallon tank, then you should add at least 13 to 21 moss balls to fill out your aquarium. 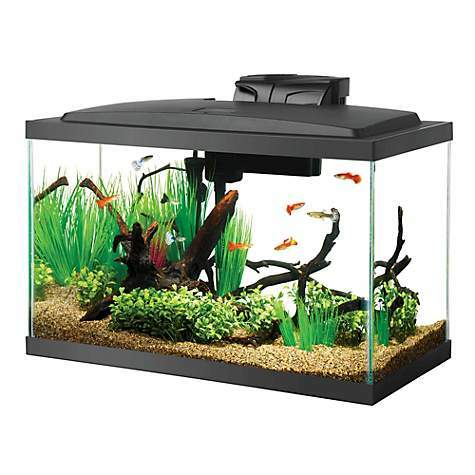 A rectangular 20 gallon tank usually measures 24” L x 12” W x 15” H, and their base has a total area of 288 square inches. In order to cover 1/4 of your tank’s substrate with moss balls, you will need to get at least thirteen 2.5 inch moss balls to cover that area. This set of 3 Giant Marimo Moss Balls (Buy Online) is perfect for someone who is looking to add some fully grown moss balls to their aquarium. These moss balls measure at least 2 to 2.5 inches. Since moss grows very slowly that means each of these moss balls will be at least 8 to 15 years old when you get them. One benefit of purchasing fully grown moss balls is that it will allow you to create a more mature looking aquascape, without having to wait years for the moss to grow to fit your aquarium. These moss balls are shipped in a rigid container to help ensure they arrive safely at your doorstep. They also come with a care sheet, and a live arrival guarantee, so you can be sure you will get healthy large moss balls that will thrive in your aquarium. The Marimo Moss Ball Variety Pack (Buy Online) is perfect if you are looking for a good mix of small to large size moss balls. You will receive 6 Marimo moss balls in this package, with each one ranging in size from 1 to 2.5 inches. You get 1 giant 2.5-inch moss ball, two large 2-inch moss balls, two medium 1.5-inch moss balls, and 2 small 1-inch moss balls. This variety pack is great if you want to create a more natural looking mix of different size moss balls in your aquascape. Luffy Marimo Moss Balls Nano Pack (Buy Online) are perfect for anyone with a small tank, or if you just want to add a few small moss balls as an accent to a larger aquarium. These moss balls are 1 inch or less in size, so they will easily fit in a Betta tank, or they can even be kept in small cups or jars filled with water as a decorative element. The Exo Terra Moss Ball (Buy Online) is an artificial moss ball that is designed to help clean the water in your aquarium. This moss ball not only mimics the look and feel of a natural moss ball it also contains a special resin that can remove toxic compounds from your aquarium. This artificial moss ball kit comes with a spherical plastic frame which houses the artificial moss material. The moss is actually made out of a special resin that can absorb nitrites, nitrates, and phosphates and trap them permanently in the resin. These moss balls will keep your tank clean for up to 2 months if you have a real dirty tank, or they can last up to 6 months if your tank isn’t that dirty. 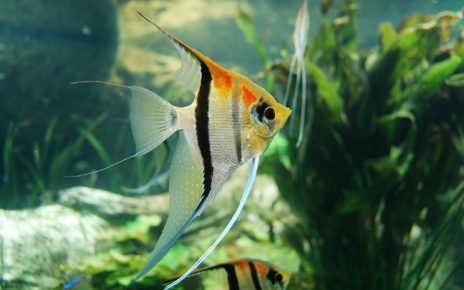 After that, they can still serve an aesthetic purpose, but their ability to remove toxins from the water will be severely diminished. This Pack of Artificial Plastic Green Moss Balls (Buy Online) is great if you like the look of a moss ball, but you prefer artificial plants in your aquarium. This moss ball measures 3 inches in diameter, and it has a weighted ceramic base, so it won’t end up floating all over your aquarium. It also is made of durable plastic, so it will last for years without requiring any maintenance. If you are like most people you probably think moss balls will make a nice looking addition to your aquarium, but you might wonder are moss balls good for aquariums. For the most part, moss balls provide most of the benefits of keeping live plants, like enhancing water quality and increasing oxygenation. The only downside to moss balls is that they tend to grow slowly, so they are not as effective as more common aquatic plant species. Since moss balls require nitrogen to grow, they can help reduce algae blooms by out-competing the algae for nutrients. If you add a bunch of moss balls to your tank they will consume any excess ammonia and nitrates produced by your fish, so they won’t build up to high enough levels in your tank for algae to feed on. Like most photosynthetic plants moss balls will emit oxygen as they process carbon dioxide into carbohydrates. As long as your moss balls are exposed to a sufficient amount of light they will help increase the total dissolved oxygen in your water. 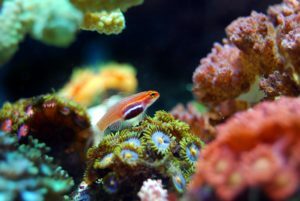 Moss balls are favorite plants for a number of species like shrimp and Betta Fish. 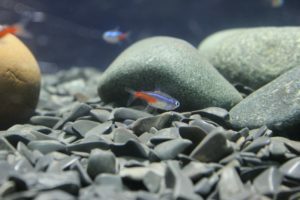 They make a fun toy for a Betta to roll around like a beach ball, which can help prevent them from getting bored in their small aquariums. 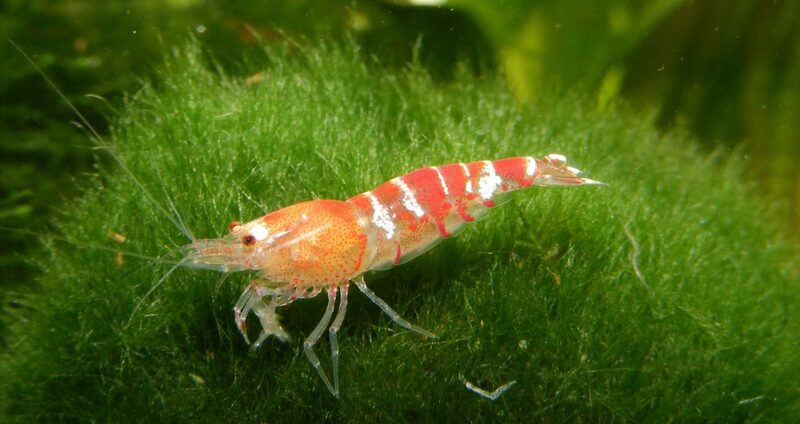 Shrimp also love them since they like to feed on the algae and detritus the builds up on their surface. They can also be kept in tanks with snails since most snails won’t eat the moss, but they will help clean the moss balls surface. There are actually some limits to how many moss balls you can actually physically fit in an aquarium. The main limit you need to be concerned with is light. If you put too many moss balls in a tank they can shade each other, which can cause some of the moss balls to die or turn brown in color. You also don’t want to add too many moss balls to a tank since there might not be enough nutrients in the water for them to grow properly. 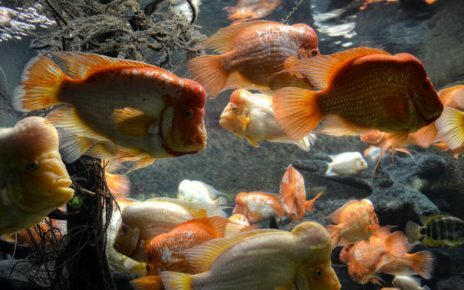 This is usually not a problem if there are fish in the tank, but it is another point to consider if you have and understocked, or fishless aquarium. 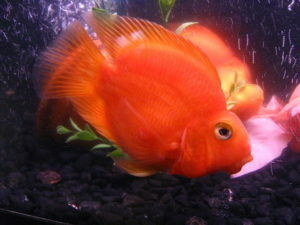 Another thing you want to keep in mind is the comfort and safety of your fish. If you add too many moss balls they won’t have any room to swim, which can be just as bad as keeping them in a small aquarium. Then there is the subjective matter of taste. If you add too many moss balls to a tank it will make the overall aquascape look unattractive and cluttered. 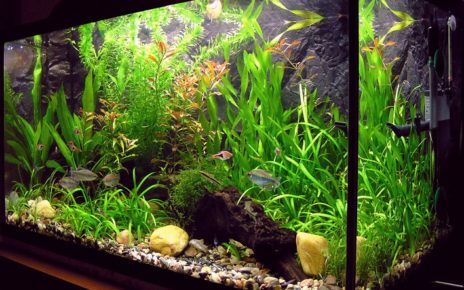 You also have to consider that the moss balls will grow and take up space, which will limit your ability to add anything new to your aquarium. 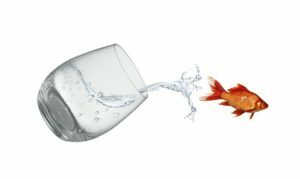 As with anything just use some common sense, and if you do that you will most likely end up with a reasonable amount of moss balls in your aquarium. 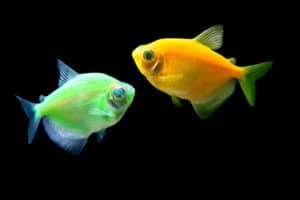 Do GloFish Need a Heater?